Suburban Temple – Kol Ami is blessed with a dedicated professional staff and active board of trustees. Rabbi Allison B. Vann has been the spiritual leader of Suburban Temple-Kol Ami since 2011. She was ordained by Hebrew Union College-Jewish Institute of Religion in 1999, and served Temple Beth-El in San Antonio, Texas from 1999 to June of 2011. She currently serves on the Board of Trustees for Jewish Family Services Association, and the Jewish Education Center of Cleveland. Rabbi Vann is the President of the Greater Cleveland Board of Rabbis. She is married to Charlie Vann, and is the mother of one son, Isaac, and two rescue dogs, Annie and Magneto. 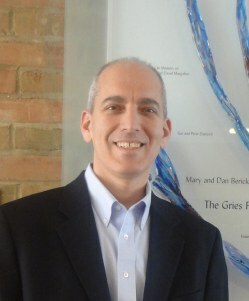 Brett Shankman joined Suburban Temple – Kol Ami as executive director in April 2014. He has worked in the organized Jewish community for most of his professional career, including the Jewish Federation of Cleveland and the Menorah Park Foundation. Brett is a native of Memphis, Tennessee. He lives in Shaker Heights with wife, Marcy and children, Rebecca and Joshua. Rabbi Shoshana Nyer, director of lifelong learning, joined the ST-KA community in July 2012, after serving Temple B’nai Shalom in Fairfax Station, VA for nine years as first Assistant, then Associate Rabbi and Educator. Before arriving in Northern Virginia, she studied at Hebrew Union College – Jewish Institute of Religion in New York, where in addition to achieving her ordination, she earned a masters of arts in Hebrew Literature. Shana returns home to the Cleveland Jewish community where she grew-up and participated actively as a youth. She later earned a Bachelor of Arts degree in Jewish Studies at the University of Maryland. Shana loves teaching students of all ages, and is most excited when her lessons combine her knowledge of and passion for Judaism and her interest in all things pop culture. When she is not at work, Shana enjoys spending time with her husband, Stephen Langel, and their daughter, Emily. They all feel blessed to be a part of the ST – KA community.